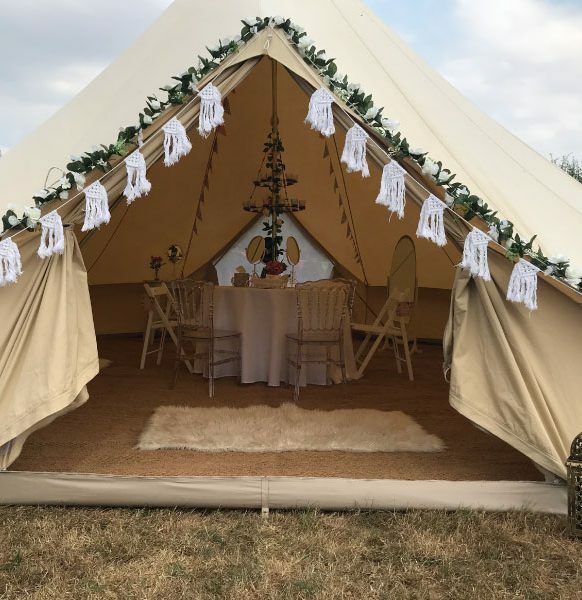 At Enchanted Bell Tents, we know that your wedding is the biggest day of your life which is why we want to make it perfect and exactly how you want it. 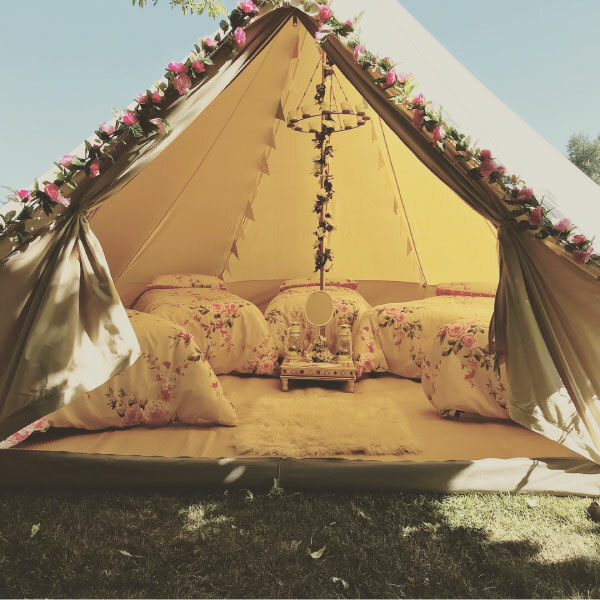 We also know that planning your day around the needs of multiple guests can be stressful, so what better way to celebrate than in a relaxed, festival style with everyone’s accommodation taken care of? 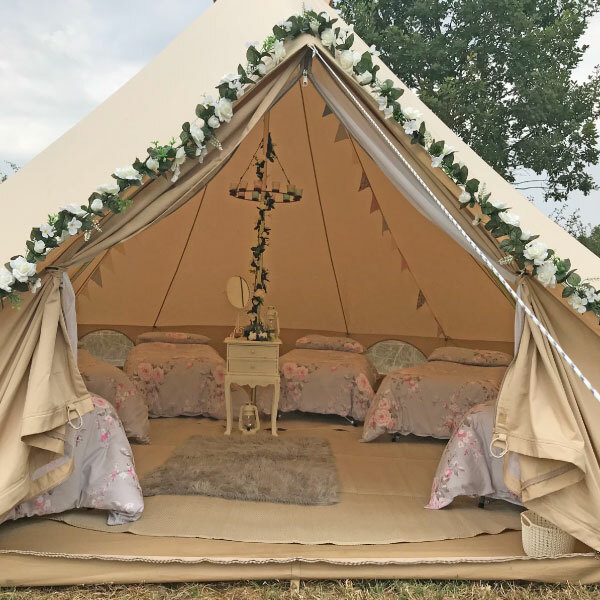 Our bell tents will take one big worry off the list and ensure you can make the most of this special time with friends and family. 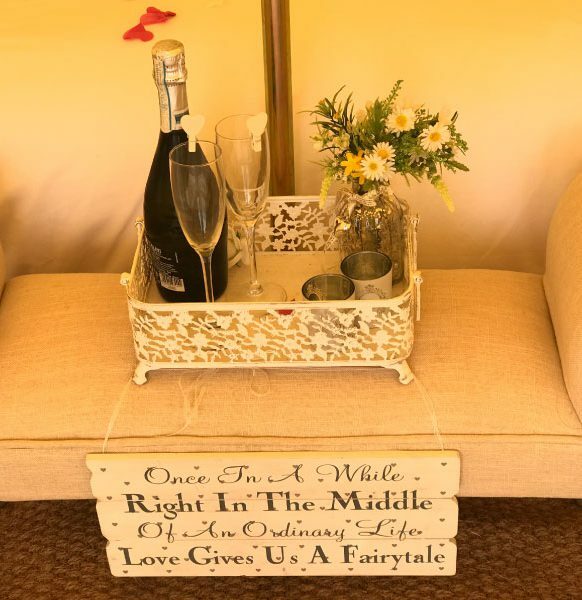 We always go the extra mile to create amazing spaces and we guarantee to help you make happy memories of your wedding like no other. 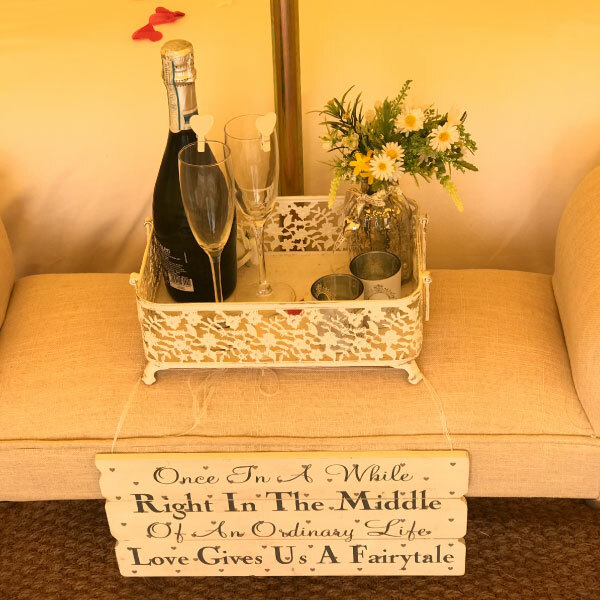 Our bell tents come beautifully decorated and furnished for the luxury glamping experience. Everyone loves a relaxed festival wedding, so get with the glamping trend for your big day by adding your very own wedding bell tent village. It’s the ultimate hassle-free solution for your overnight accommodation needs and an experience you and your guests will never forget! This option not only allows the wedding party to enjoy their time together for the entire celebration, it also provides a lovely chill-out space, getting ready tent and a haven for children to play. We work with some very special venues set in glorious countryside locations, which can provide a stunning backdrop to your event. Wherever you choose to pitch your camp, we will help you recreate your wedding day dream. 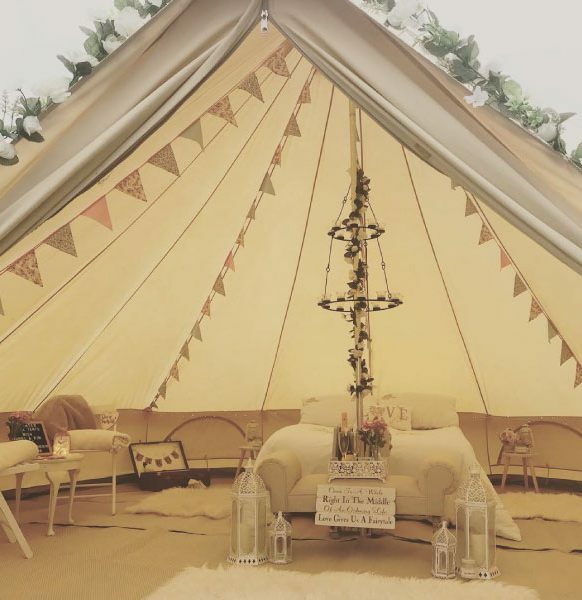 If you prefer to bring your own bed, linen and accessories, you have the option of hiring an empty bell tent. We simply supply and put up the bell tent so you can provide your own furniture, bedding and decorations to suit. We do, however, include the fairy lights to the doorway for you. We’ll take care of all the bell tent set up, while you can focus on planning the good times together. 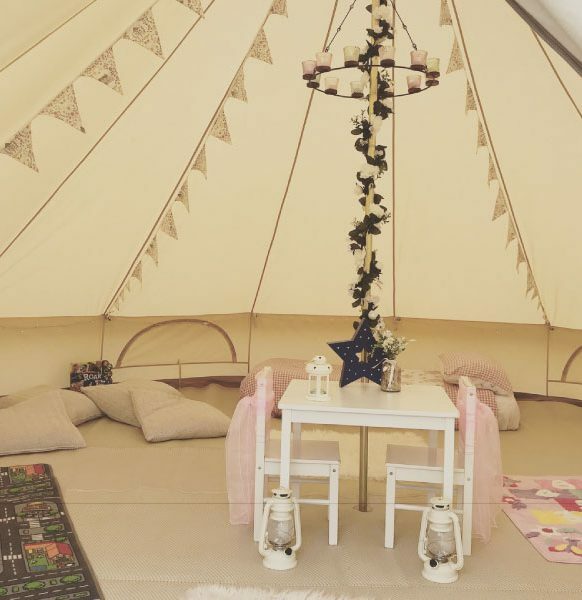 In the midst of planning your Hen party – why not have a Hen Glamp out? We know that planning a hen party is a huge task and not always an easy one, but don’t worry, help is at hand. 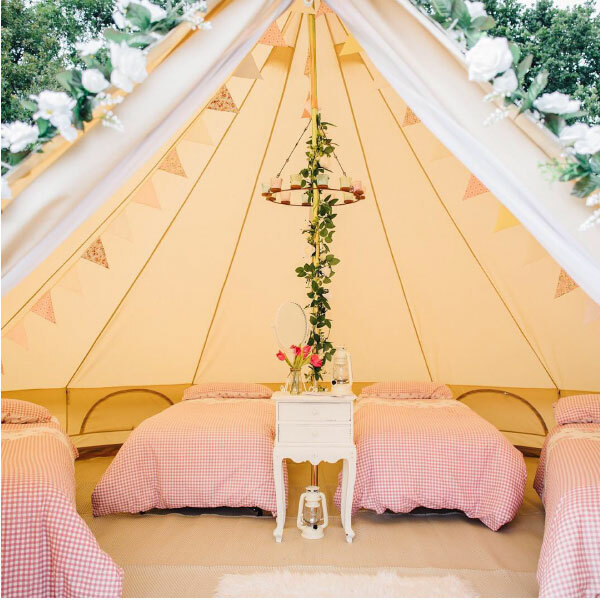 Our beautiful bell tents provide the perfect venue with just the right amount of ‘wow’ factor for your best girlfriends’ weekend away! We work with a highly select band of “hen-friendly” hideaways. 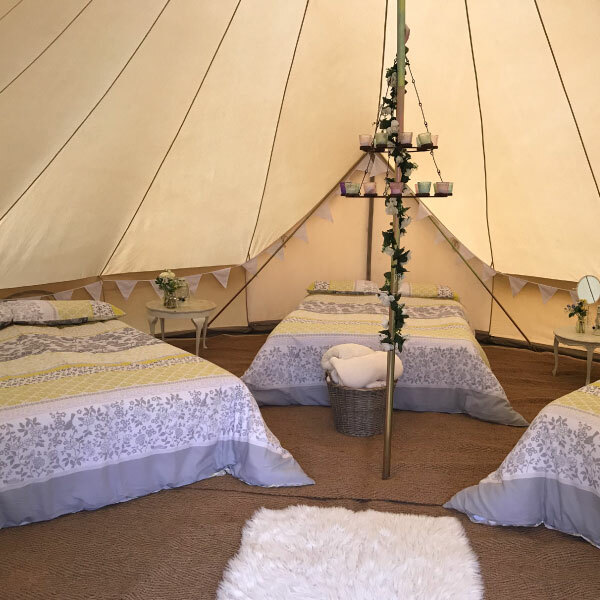 Etties Field or Buckminster make for the perfect hen party venue or, alternatively, we can set up our bell tents at your preferred location. 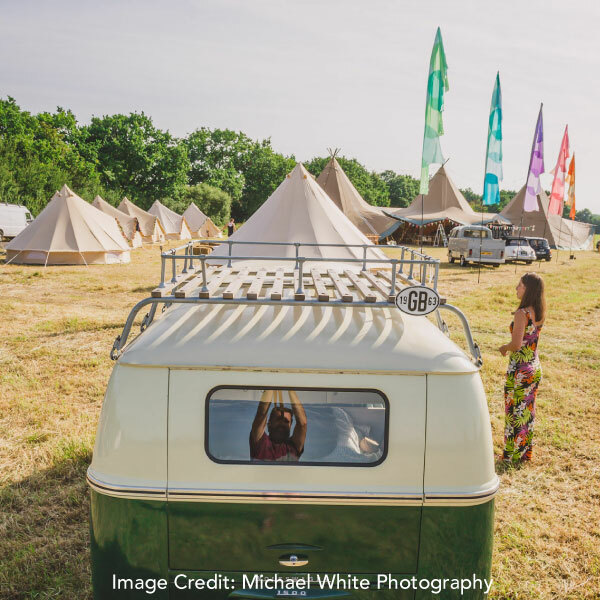 This might be a friend’s garden, field or a campsite of your choice. 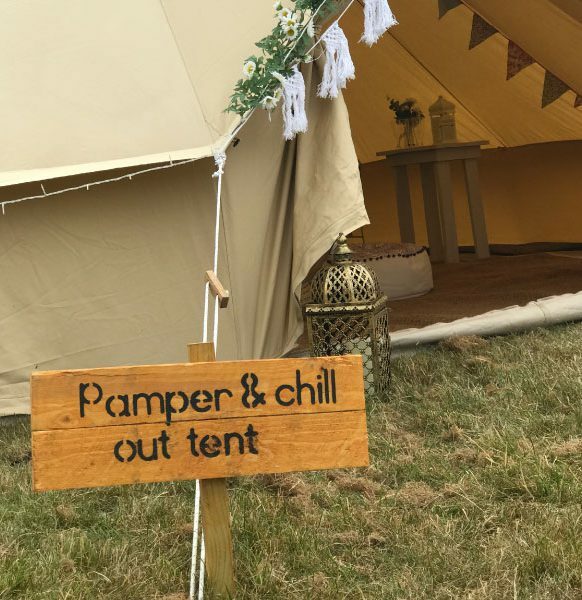 We’ve partnered up with Debbie from The Alternative PA who can support you by organising activities to keep you busy during your weekend away, including outdoor pursuits, pampering, cooking experiences, catering and whatever else you need to make your hens cluck! 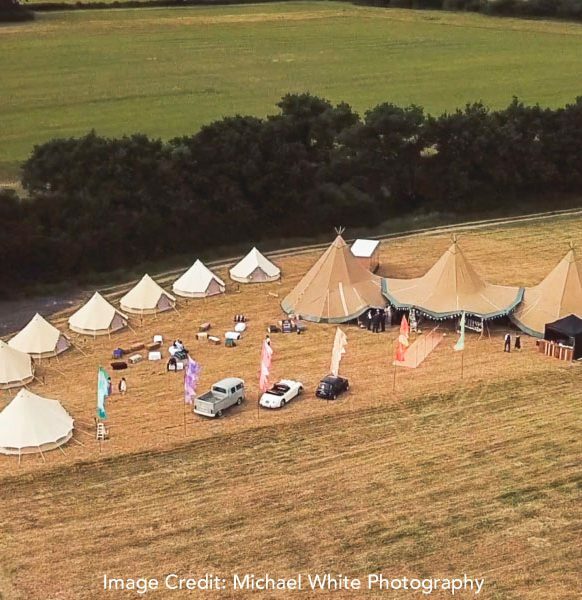 So, if you’re organising a bride tribe glamping weekend, or prefer a more chilled out occasion, we’ve got it covered! 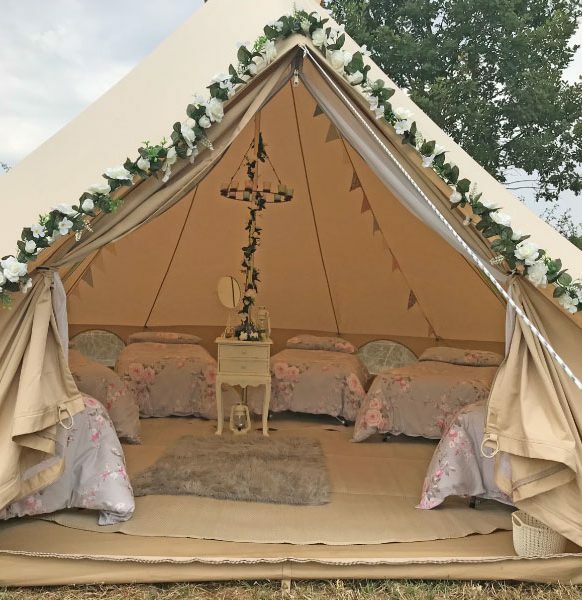 A pop-up hen camp of bell tents, which are all beautifully decorated each accommodating up to 5 beds to make that festival themed hen party atmosphere for everyone! We provide each hen with a fluffy dressing gown and slippers to wear during the duration of your stay. 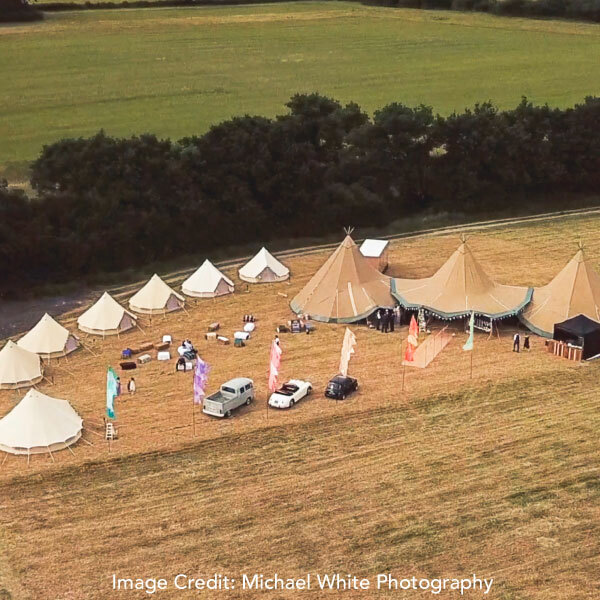 If you choose the 6m or 7m options together, we can link them making a huge area to chill, eat or hold activities in and a separate bedroom area. 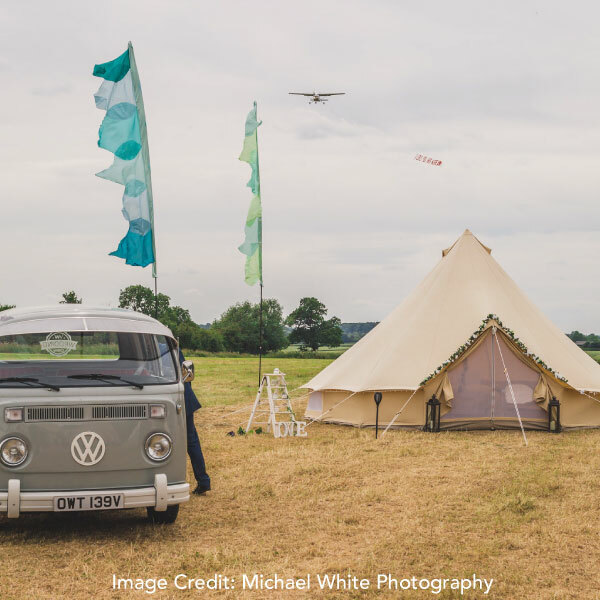 Please note, Etties or Buckminster camp fee is not included in the bell tent hire price. 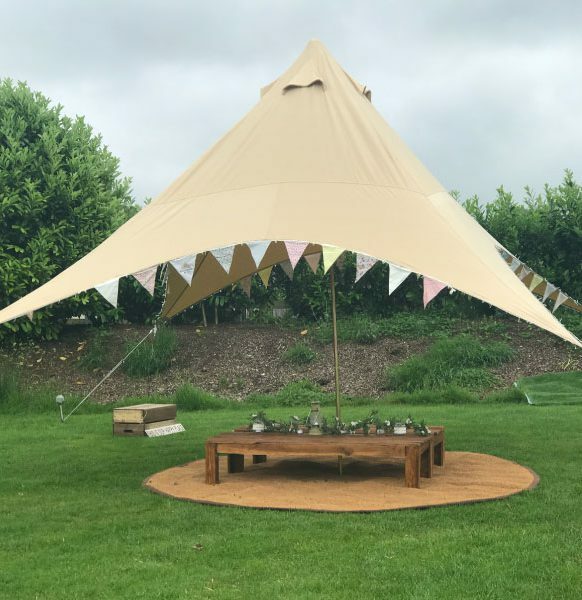 We also have our beautiful Star Shelter; a cool outside space which can provide a great chill out space to sit outside together for eating, relaxing and pampering during your stay. 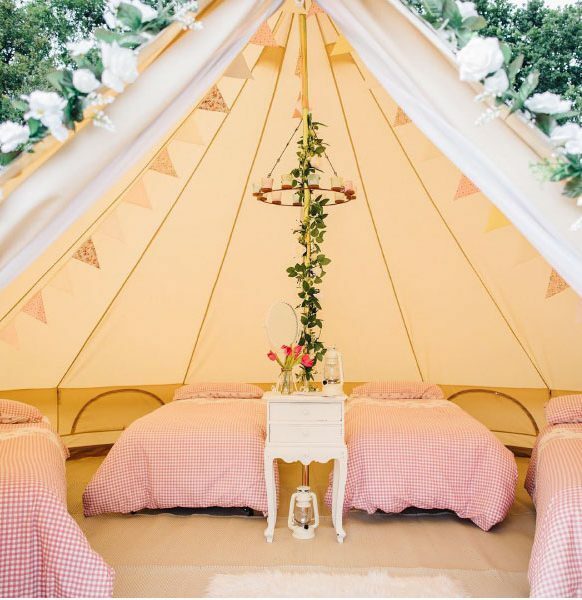 Lit with beautiful twinkly fairy lights. 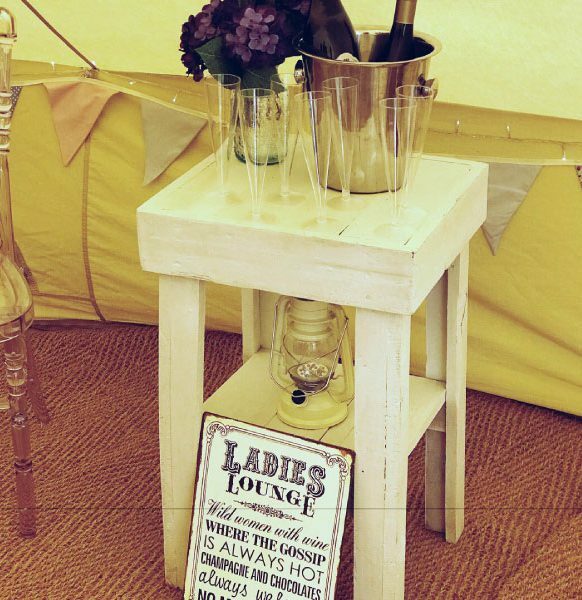 We’ll provide two funky pallet tables for your food and drinks and comfy floor cushions for you to relax on. We can arrive at your location and pitch your perfectly spacious bell tents all before your friends and family arrive for the quintessential Glamping Hen Party Weekend! 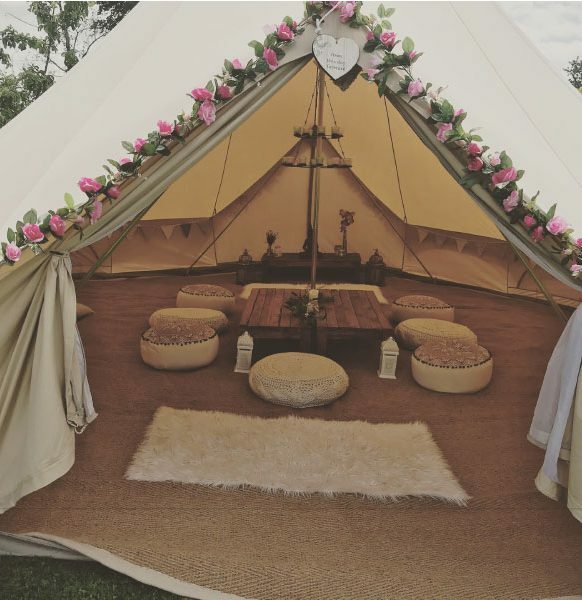 We can offer a lovely space for your guests to chillout and relax or utilise one of our tents as a getting ready space. 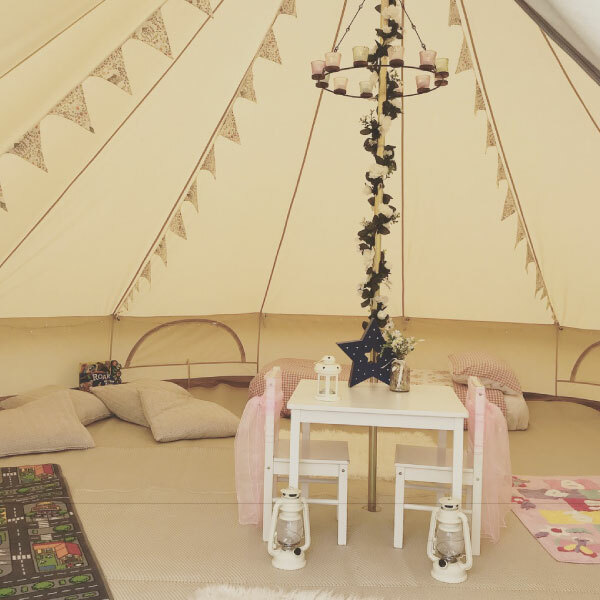 We can also offer a children’s play tent which is great for when the little ones want some time out from the wedding, to include toys, tables, chairs, colouring, a dressing up box, we can also offer a rest area if required. 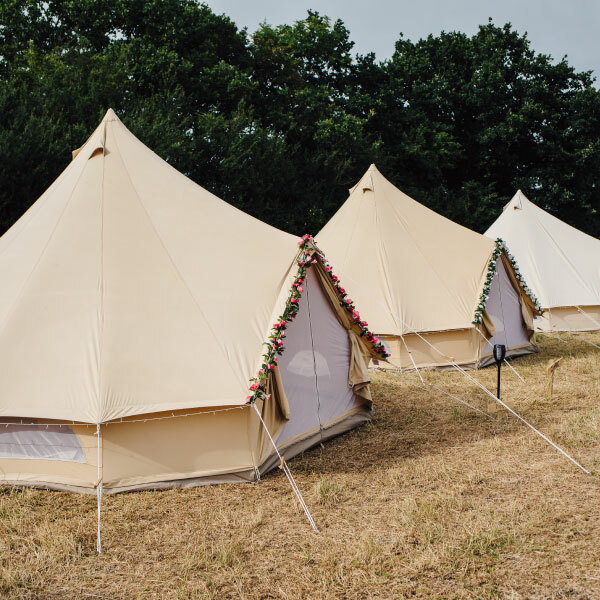 If you book 10 or more tents, will supply a free 4m tent for you to use as you wish. Or if you prefer, we can offer our 4.5m x 4.5m Star Shelter tent, which is a great addition to our collection, which can be used as a shelter from the sun or dare I say, rain.